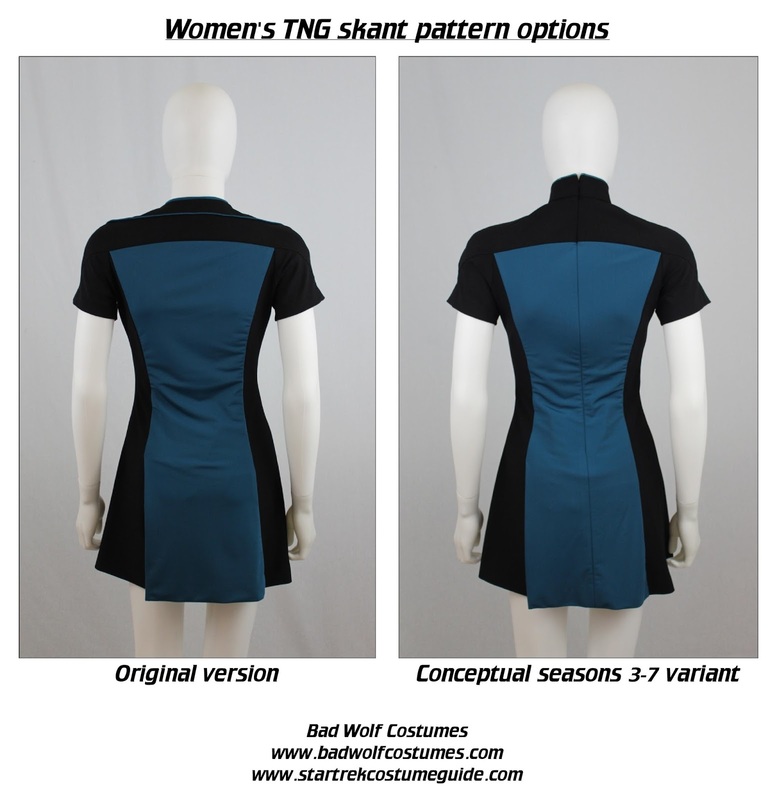 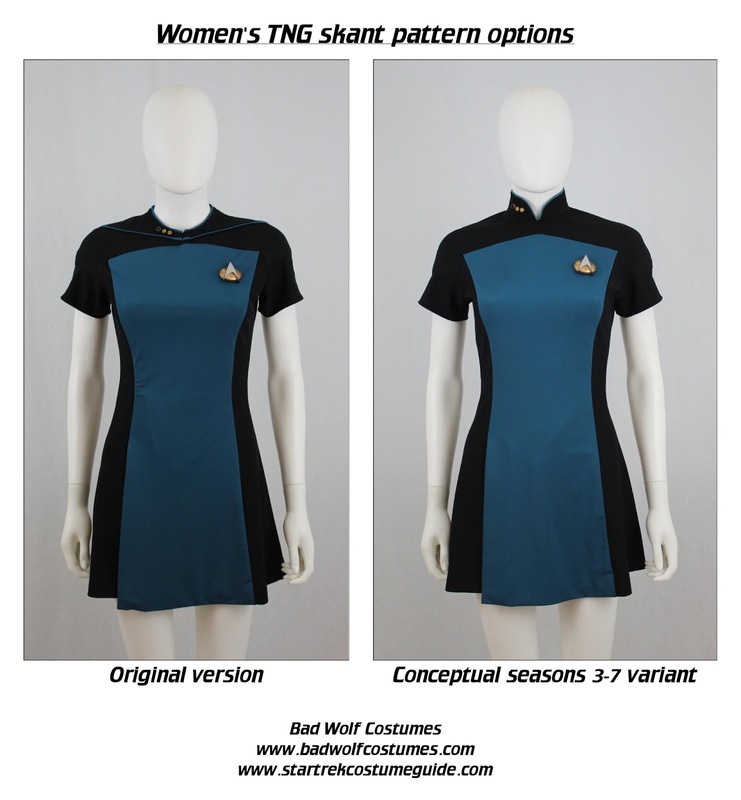 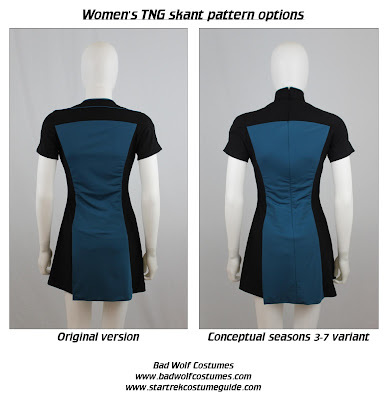 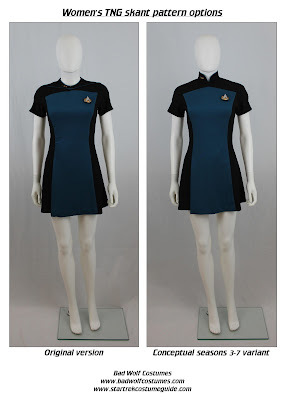 Bad Wolf Costumes: Women's TNG skant pattern, Pre-order discount! 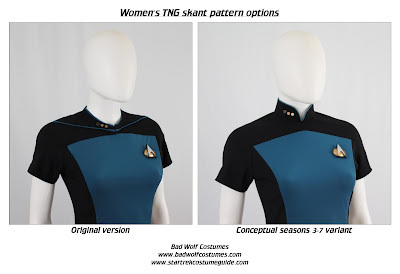 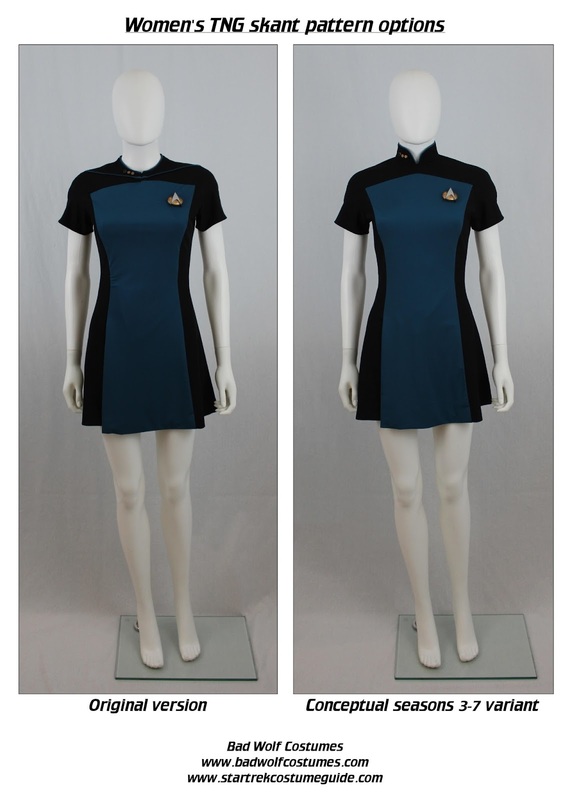 Our women's TNG skant pattern is now available for pre-order, at a 10% discount! 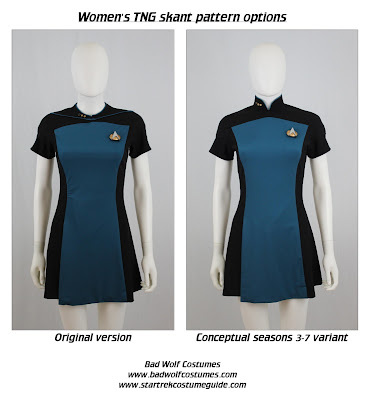 Patterned directly off an original, screen-used TNG skant, this pattern features authentic vents, interior construction, and double-zipper closures! 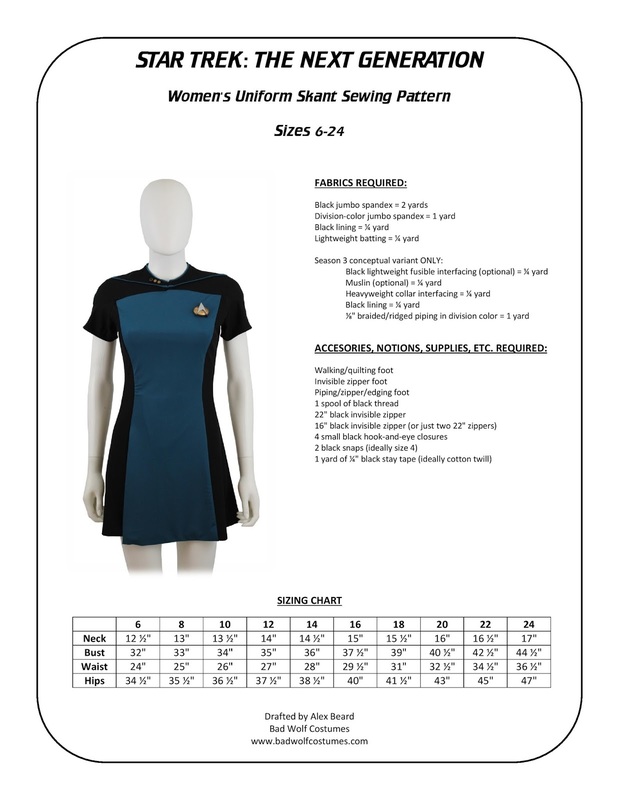 Free sewing tutorial (intended for use with this pattern) coming soon! We're also working on a pattern for the men's skants. 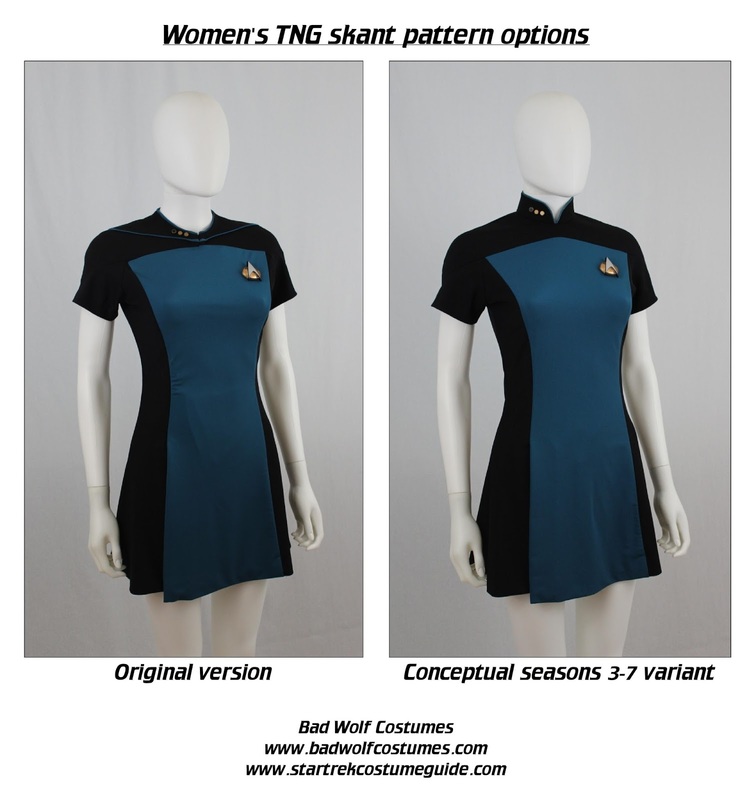 Subscribe to our e-mail newsletter to hear about them as soon as they're available! 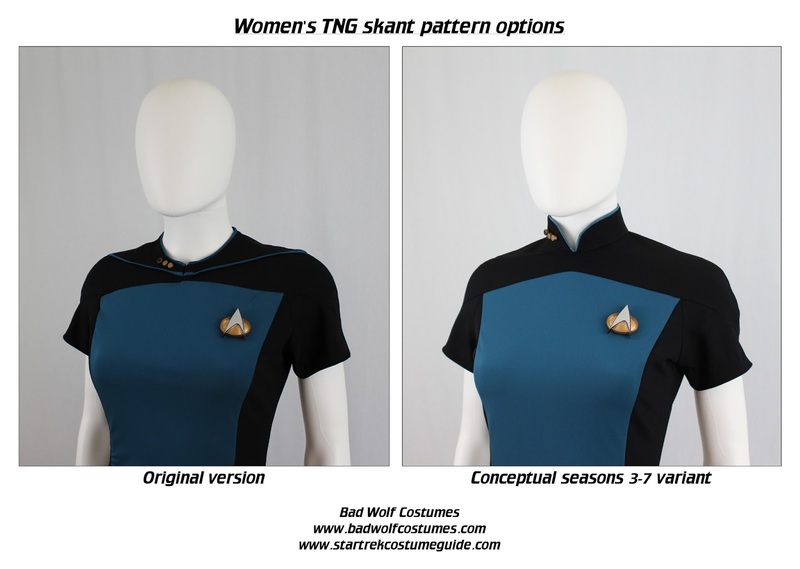 Are you planning on creating the male version too? 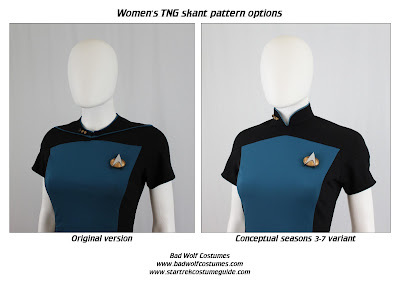 Or is this pattern sufficient to do both male and female skants? We're putting the finishing touches on the men's skant pattern, and it should be available very soon!